My family always want tomato pasta sauce on their noodles, trying to convince them to go without it is a big battle. But here’s one recipe that they simply loved, and guess what? It doesn’t have pasta sauce! Simply roasting vegetables in the oven with olive oil and crushed chili peppers is the foundation of this awesome recipe. 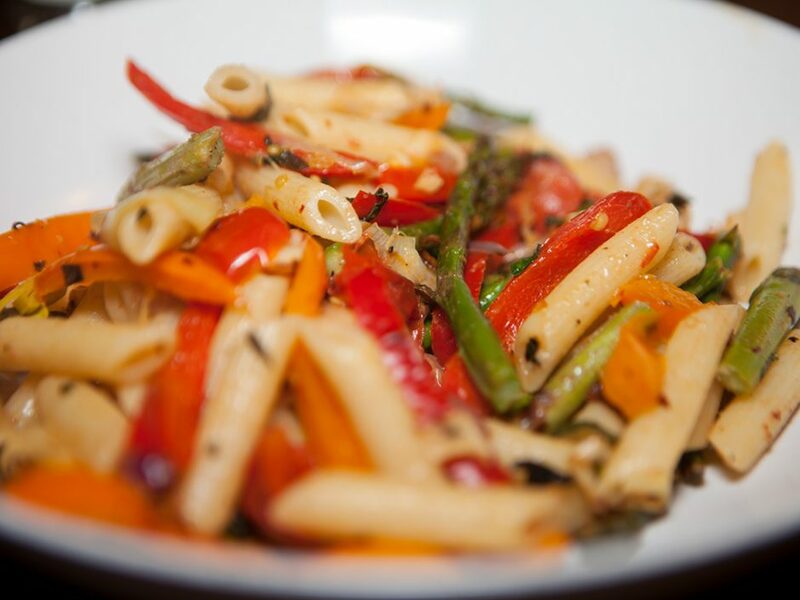 Choose your favorite vegetables to compliment this great pasta dish. After a busy day working in the garden this quick recipe makes a whole lot of sense! It was so good they the family didn’t even notice there was no sauce. 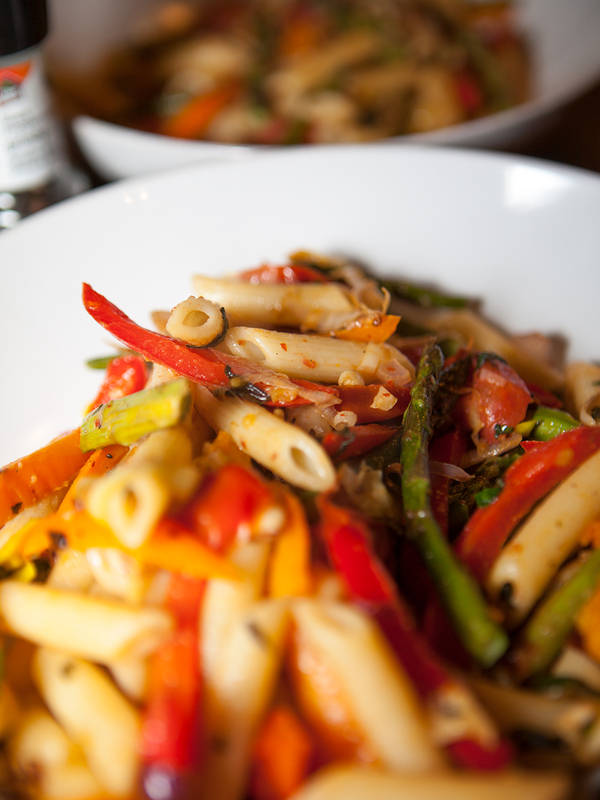 Toss leek, asparagus and peppers with 3 tbsp of the olive oil and half of the basil, salt, pepper and chili flakes. Toss the tomatoes separately with ½ tsp olive oil. 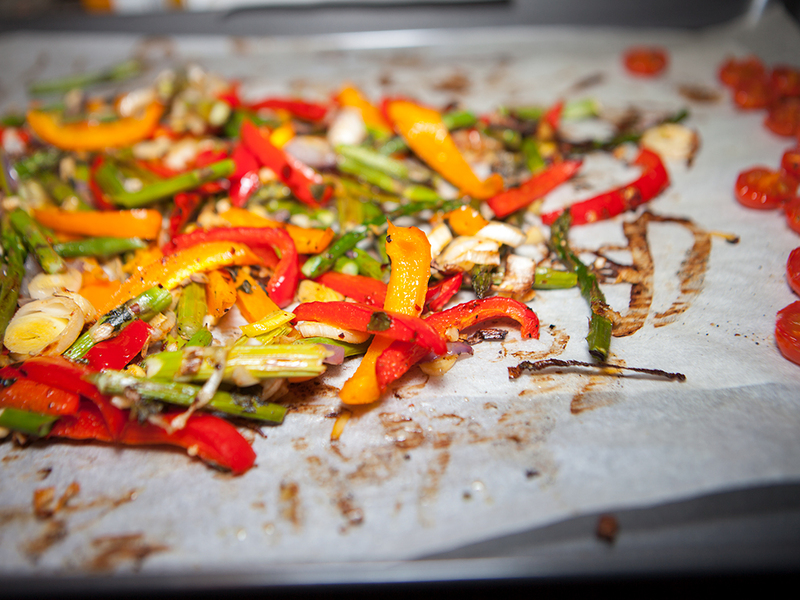 Spread the vegetable mixture on a parchment-paper lined baking sheet. Place tomatoes on parchment paper with seeds faced upwards so juices don’t run onto vegetables. Roast in preheated 4000F oven for 20 minutes. While vegetables are roasting bring water with a pinch of salt to a boil for pasta. Add roasted vegetables to pot. Toss with remaining oil and basil.